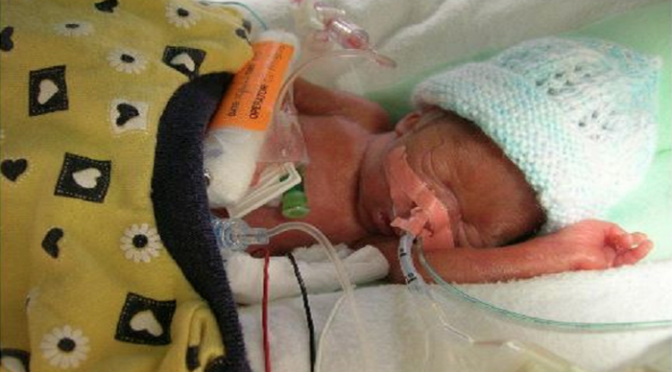 Premature twins, Hunter and Darcy Ridley, were born at 22 weeks gestation— 123 days before their actual due date. Known at the time as the world’s most premature twins, the miracle babies are celebrating their ninth birthday. On April 24, 2006, Darcy Louise was born weighing 500 grams; Hunter Ryan was born slightly heavier, weighing 560 grams. The twins’ powerful story of survival displays not only the humanity of children inside the womb, but the tragic reality of abortion. Although babies the same age and size are legally killed by abortion each day, their humanity is evident. In a video, the Ridley family shared Darcy’s story and her medical struggles, noting that Darcy is a fighter. The Ridley twins were released from the hospital nearly six months after birth. The family released a touching video, sharing the twins’ first months. With over 2,500,000 views, the video has gone viral.